Sunday June 21st marked the very first day of summer. Hallelujah and praise the lord, we made it to my favorite season of the year! I’m talking about long, sunny days filled with BBQ’s, hangouts at the beach, camping with friends and family – the possibilities are endless. It also means it’s socially acceptable to wear flip flops pretty much everywhere, and ice cream counts as a meal any time the thermostat reaches at least 90 degrees! Okay, fine, that last part isn’t exactly true, but who doesn’t love a cold treat on a hot day? Everyone does. Everyone! I was no exception. But instead of racing off to the local fro-yo shop and enduring hours of dairy induced pain and associated sugar high, I decided to make some dairy free homemade frozen treats. It was perfect timing because I had just been given a big bag of fresh peaches from a friend’s tree, but they were soft and bruised from transport. 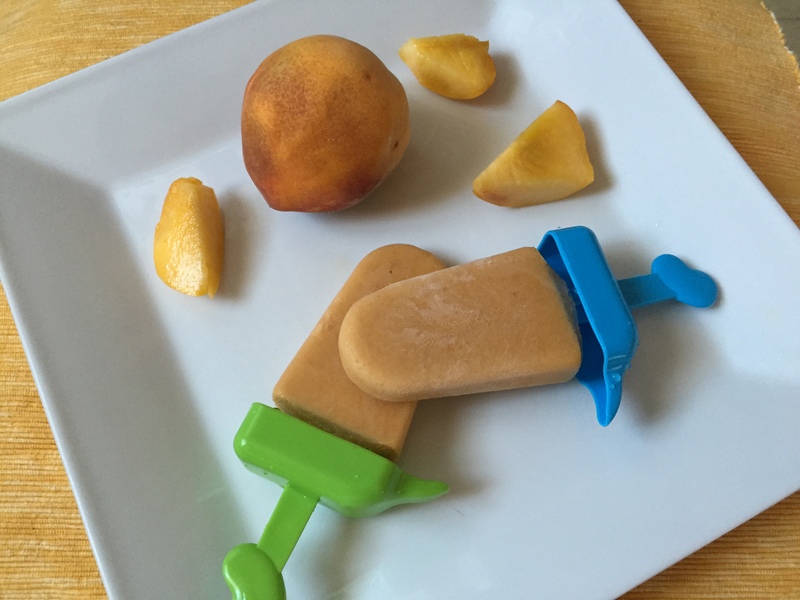 Not stable enough for baked goods (like my peach empanadas from last summer), but perfect for blending down and making some delicious popsicles. Or as I like to call them…creamsicles. Utilizing coconut milk and honey for a sweet cream base, and mixing in the blended peaches, these peachy, coconut creamsicles were born. Each creamsicle is sweet and refreshing, with bright and bold peach flavors up front and hints of luxurious coconut cream in the finish. It makes you want to stop everything you’re doing, sit on the front porch and just enjoy the moment until the very last drop. 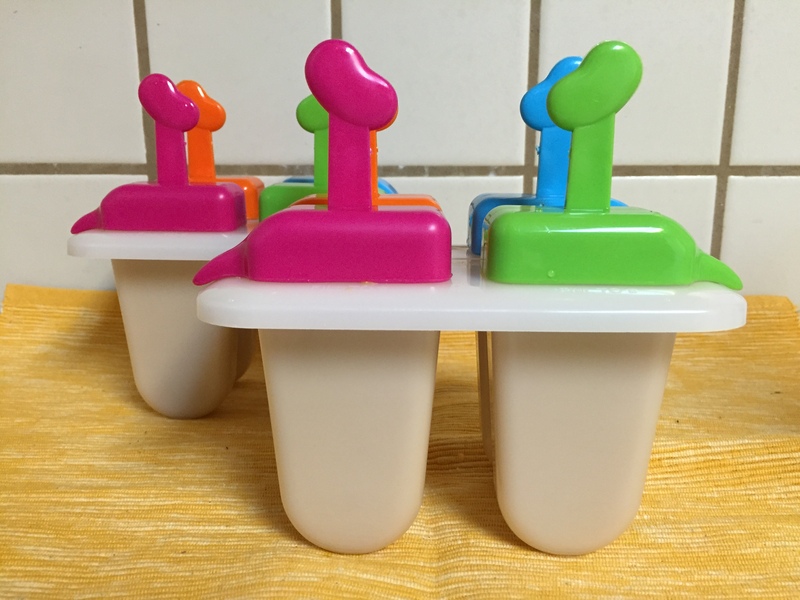 (2) 4 slot popsicle molds & 8 popsicle sticks (pictured below). Mine are from Target. 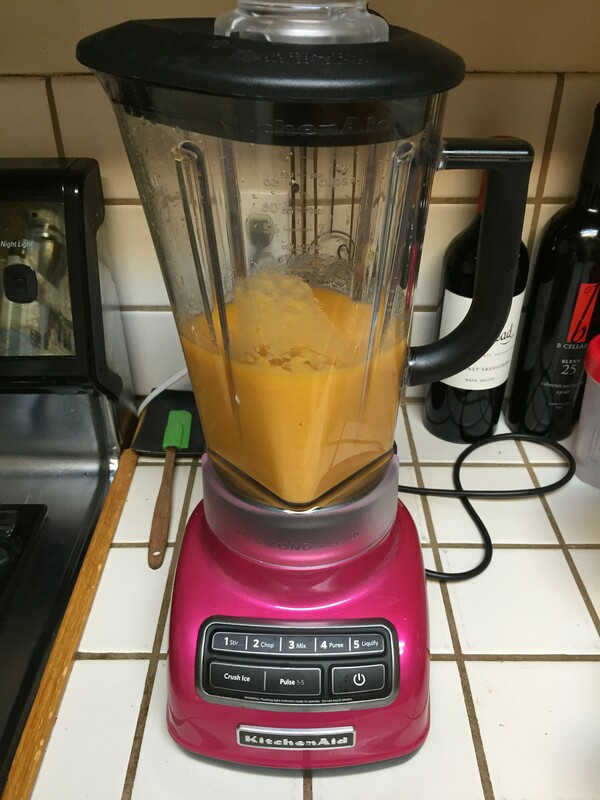 Peel and dice your peaches until you have about 4 cups, then blend in your blender or food processor until smooth. If you prefer to enjoy your creamsicles with bits whole peaches, use the pulse option instead. Set the blended peaches aside when you’ve reached the desired consistency. Open the can of coconut milk* and scoop out about half of the thick coconut cream from the can. 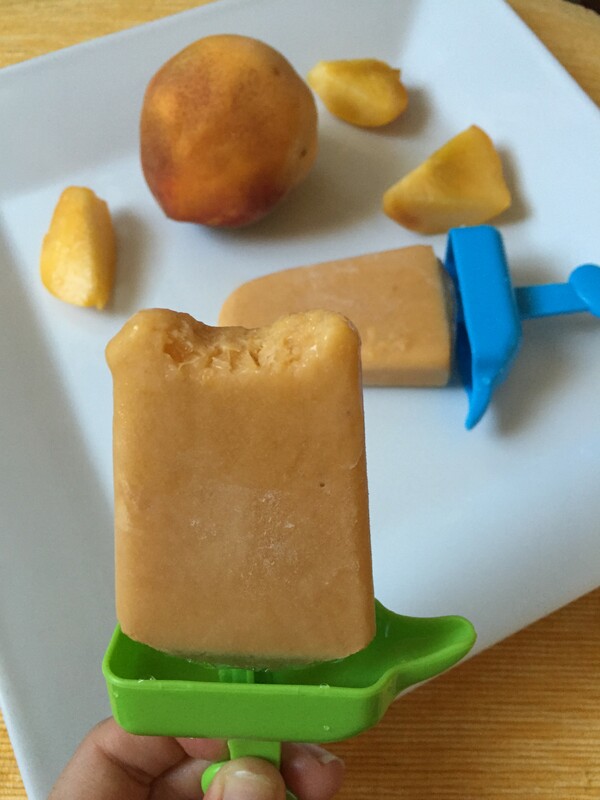 Mix the peaches and sweet cream together and then pour into the popsicle molds. You may have a little leftover – perfect for a smoothie! Let the creamsicles set in the freezer overnight. You may need to run them under hot water for about 30 seconds before attempting to pull them out of the molds and enjoying them. Be sure to let your can of coconut milk chill in the refrigerator the night before you make this recipe. 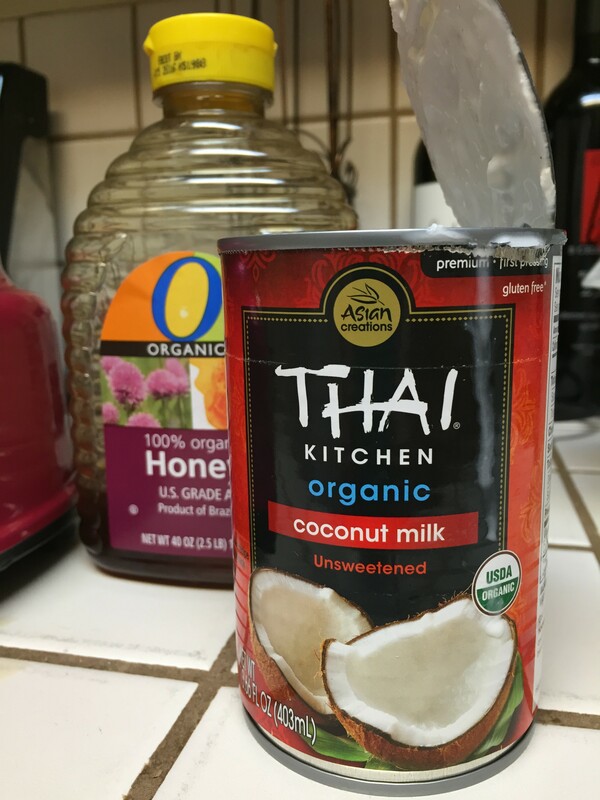 This helps thicken the coconut cream at the top of the can, which is the part you want to use for this recipe. If you want less of a coconut taste, heat the blended peaches, honey and vanilla together then mix in with the coconut milk. Heating the coconut milk intensifies the flavor, but I know some people are sensitive to a strong coconut flavor. Adjust the recipe to your liking! Hope these help you stay cool in the heat!